I intended to do so much tonight. I was going to write a blog post, write another lecture for the Academy, work on a new project I’m trying to get off the ground. 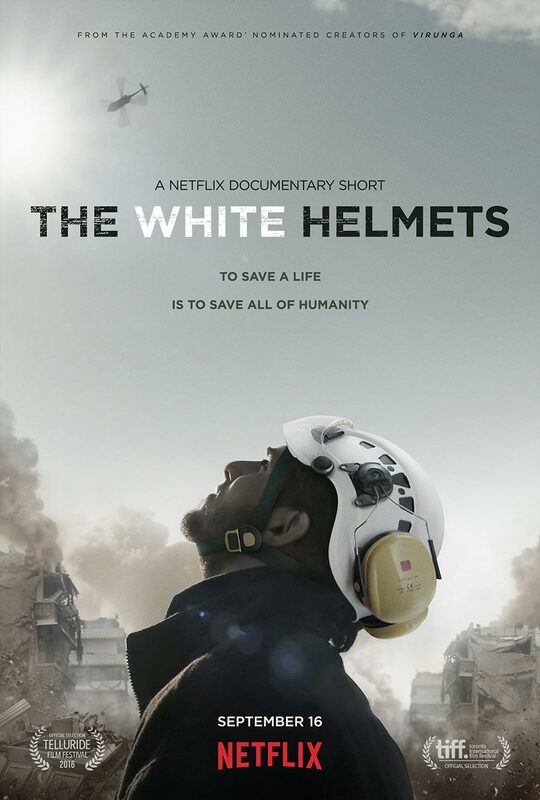 Instead, I ended up watching the White Helmets documentary on Netflix. And despite intending to just have it playing in the background (which would be impossible with all the subtitles anyway) I found myself riveted to the screen, and it wasn’t long before the tears came. To save a life, is to save all of humanity. They know the truth, which is that we are all one. That every single one of the 400,000 people who have so far been killed in Syria are us, and we are them. One of them in the documentary is worried about his son, who he can’t get hold of. And he says – What does it matter? My son? Or someone else’s son? We are all the same. The White Helmets love their families, but they also see every person they save as their family. They are truly heroes, Angels on this earth, risking their lives every day, because as well as the dangerous nature of the rescues, they are also being targeted by the bombers. But regardless of the danger, they see it is their duty to save as many lives as they can. Their dedication, their courage, their faith and their insistence on holding onto hope – as one of them says – without hope, we are all dead – is truly inspiring and humbling. It makes me so incredibly thankful for all that I have. Watch it now, it is something everyone needs to see. And visit their website to sign the petition to stop barrel bombs. It’s time for the killing to stop. We need more people in the world who have that same sense of mankind. I think it’s great that we acknowledge that we all have differences. Different races. Different religions. Different passions and mindsets. However, the minute we lose sight of the fact that we are all tied to each other is the minute we lose sight of our humanity. And that is what tears us apart. If we all looked at each other and saw ourselves, we wouldn’t be killing each other. Or maybe part of the problem is self hate? I wonder. Self-hate is the root of conflict I feel, because if we loved ourselves, that would the spill out as love toward others. The concept of – Do unto others as you would do unto you – only works if you love, respect and care about your self.